We found 2 episodes of More Than Just Code podcast - iOS and Swift development, news and advice with the tag “cryptonomicon”. 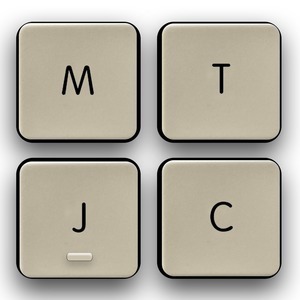 We discuss #askMTJC on iPhone Plus models landscape SplitView mode, PGP encryption apps, the iOS 11 Calculator bug, and Blockchain diplomas. We follow up on GPG encryption tools, iPhone X Demand, and Reachability on the iPhone X. We discuss experiences of trying to pre-order iPhone X models by ourselves and others. We also discuss Gluon: a new library for machine learning from AWS and Microsoft, SiriKit in 11.2 beta brings commands for the upcoming HomePod. Picks: Tips and Tricks: Ten Safari long-press shortcuts for iPhone and iPad and Xcode's Show Live Issues.